The forces of NATO and the Taliban have taken their war to the digital battleground of Twitter. NATO and the Taliban have been warring over Afghanistan for a decade but yesterday, following an attack in the capital of Kabul that was defeated by NATO-backed Afghan security forces after a 20-hour battle, the conflict shifted to a very different theater: the 140-character STFU fields of Twitter. After the attack was put down, the Twitter account belonging to the International Security Assistance Force Afghanistan, which normally restricts itself to straight-up info dumps on the Afghan situation, posted a response to comments about the attack from a Taliban spokesman. "Re: Taliban spox on #Kabul attack: the outcome is inevitable," @ISAFmedia wrote. "Question is how much longer will terrorist put innocent Afghans in harm's way?" That put a bee in the Taliban's bonnet, which responded through the @ABalkhi account, "@ISAFmedia i dnt knw.u hve bn pttng thm n 'harm's way' fr da pst 10 yrs.Razd whole vllgs n mrkts.n stil hv da nrve to tlk bout 'harm's way'"
"Really, @abalkhi?" @ISAFmedia replied. "Unama reported 80% of civilians causalities are caused by insurgent (your) activities http://goo.gl/FylwU" @ABalkhi, however, questioned the validity of the numbers, pointing out that they came from ISAF's parent body at the United Nations. "@ISAFmedia Unama is an entity of whom? mine or yours?" it asked. Things went quiet for awhile, although @ABalkhi fired off a quick "lol" at CNN for an article claiming that the Afghanistan insurgency was "less effective" this year than it has been in the past. But @ISAFmedia wasn't ready to let things go without taking a parting shot at another Taliban-related account. Linking to a YouTube video showing General John R. Allen, the ISAF Commander, checking on his troops after the Kabul attacks, it wrote, "Hey @alemarahweb, does your boss do this? 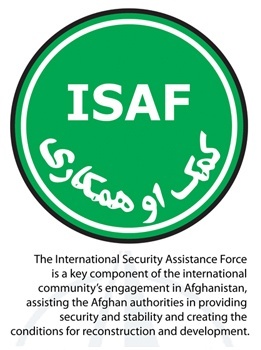 http://goo.gl/9XpYn #Kabulattacks #ISAF #COMISAF"